Ozotic - I love the polish. 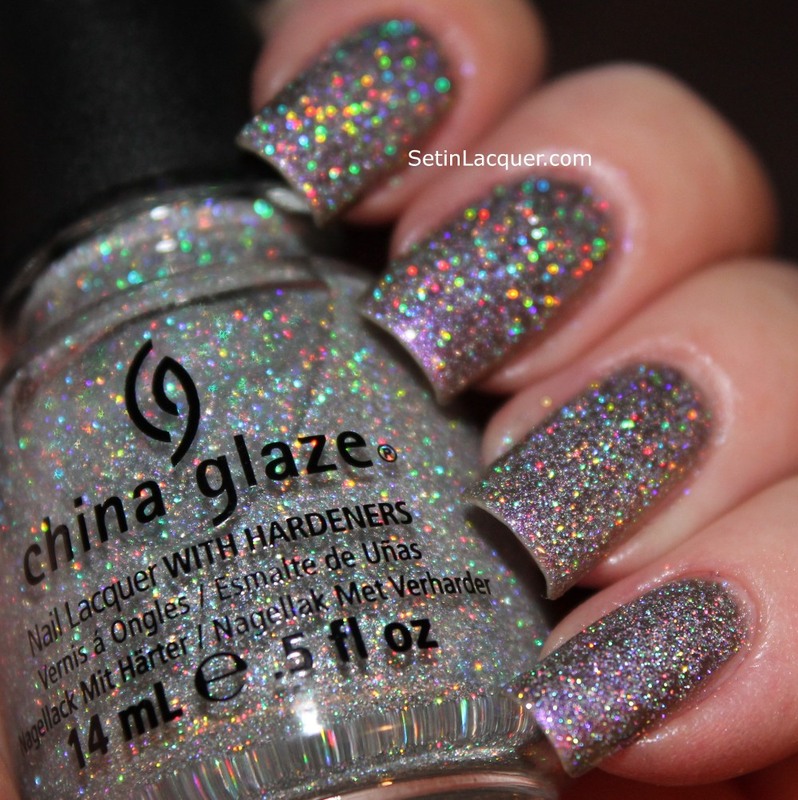 I recently purchased the 910 Scattered Chrome nail polish. 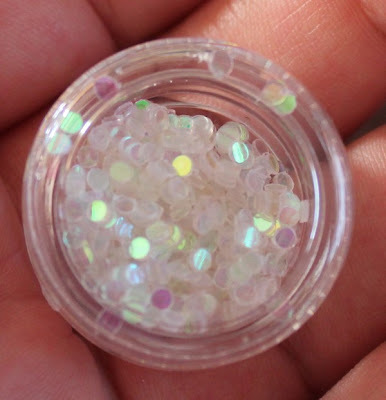 When it arrived my first thought was that it was similar to Chanel Peridot. And I have that and several of the dupes. But that is where the similarities end. 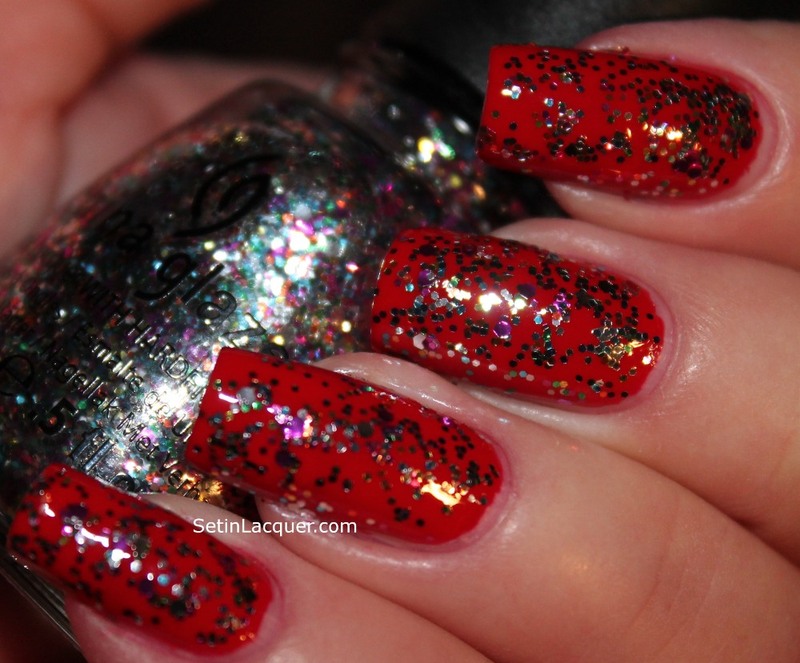 Once applied to the nail the scattered chrome effect is mesmerizing. 910 is a rich shade with shifting browns and golds. The scattered chrome effect adds a splash of holographic prisms. It is quite stunning. 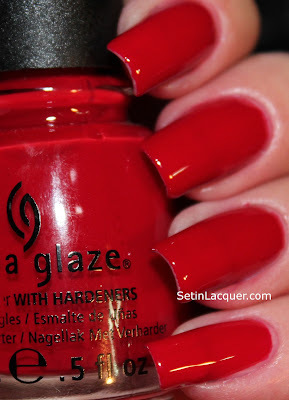 I used two coats of polish for these swatches. 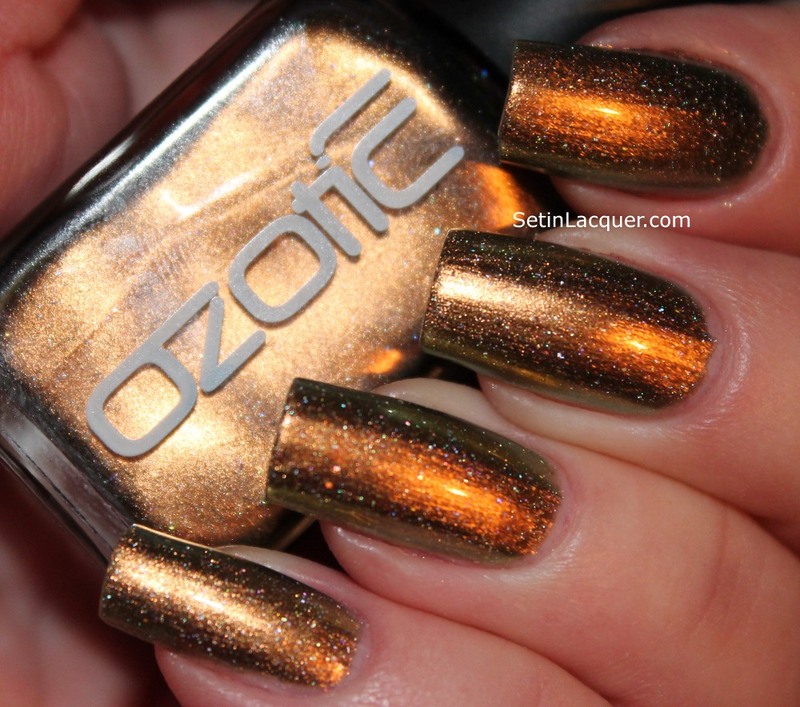 There are several places to buy Ozotic online. The cost is between $14 and $15. I purchased mine from llarowe.com. 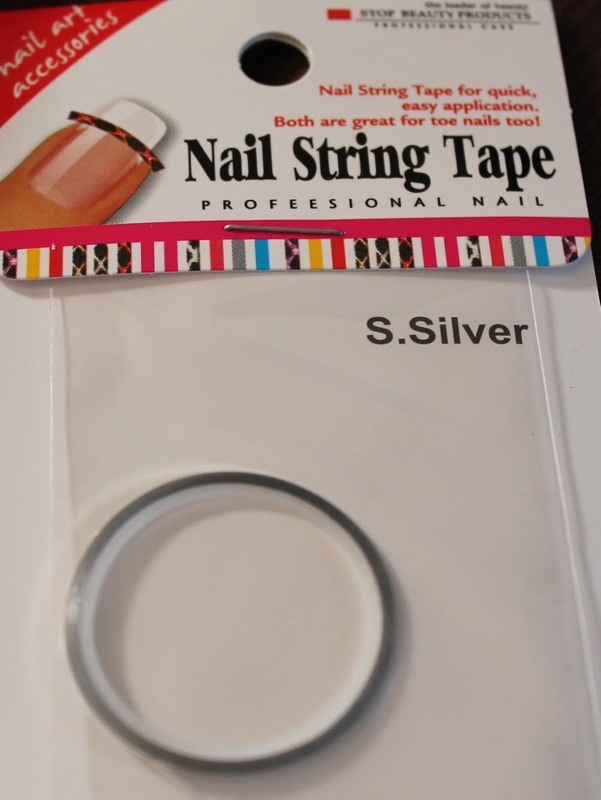 But you can also get it from Overall Beauty, or piCture pOlish. 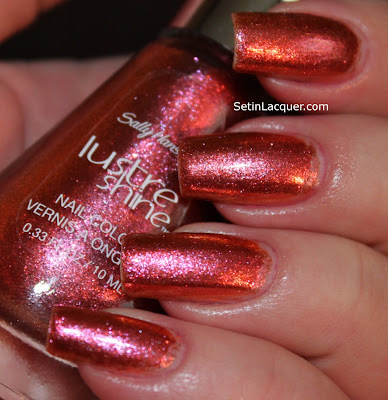 I received some gorgeous polishes to share with you - Sally Hansen Lustre Shine. Sally Hansen nail products have been around since the late late 1950s when Sally Hansen, together with her chemist husband pioneered a nail protection formula called Hard As Nails. 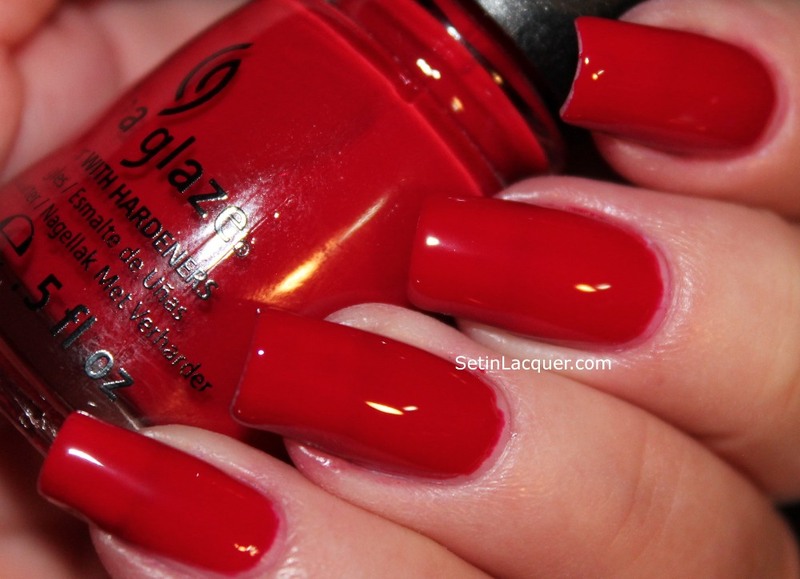 Since then Sally Hansen products have been a favorite among women seeking fashionable, affordable nail care products. These polishes applied easily and smoothly. Make sure you use light coats or you might get some bubbles. But then that is the case of a lot of polishes. The dry time is decent and the shine is amazing. I love the colors. They are rich and vibrant. 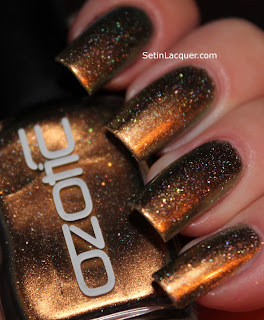 Let's move on to the swatches. I didn't use a top coat in any of these swatches and I used two coats of polish for each swatch. Copperhead - This color is a wonderful shade for Fall. A wonderful shimmery shade that changes from a lustrous brown to a captivating copper. 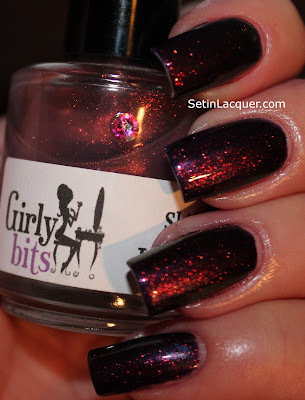 Firefly - This is a rich shade of dusty brown that changes to a shimmery pale orangish shade. It is quite stunning. Lava - This is one of the boldest shades of the collection. 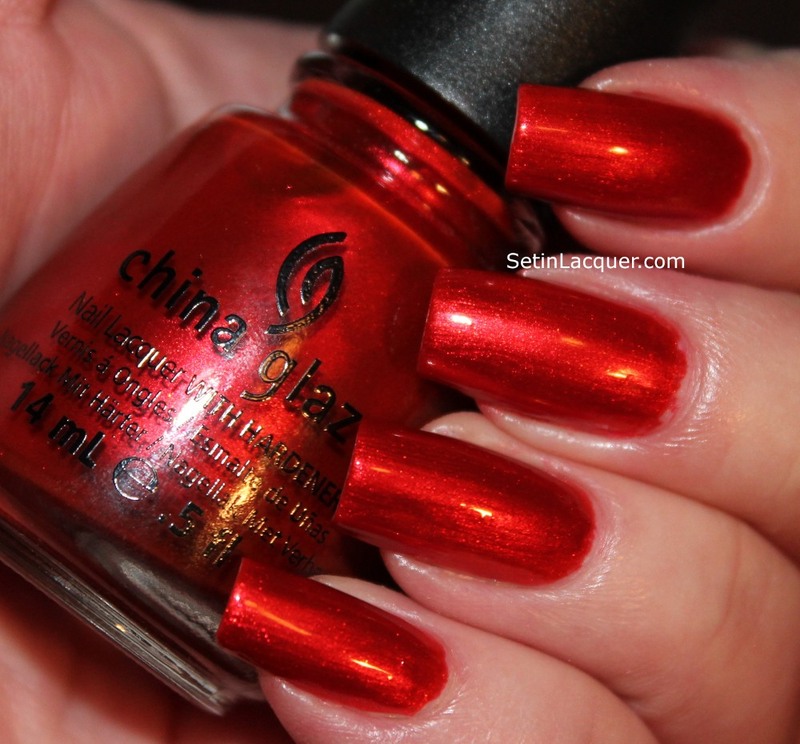 A vibrant shade of orange that shifts to a shimmer rose color. 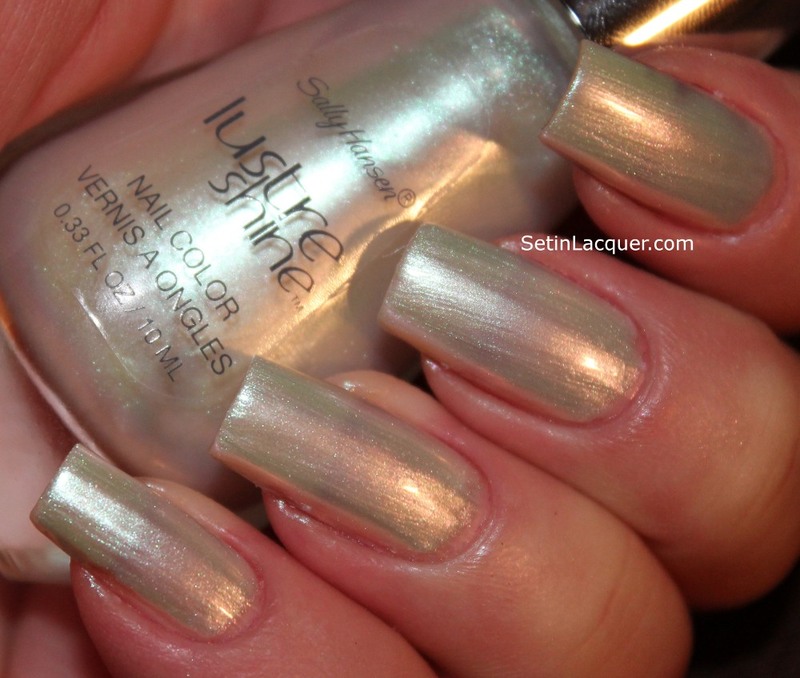 Moonstone - This is a classy, shimmery white shade. 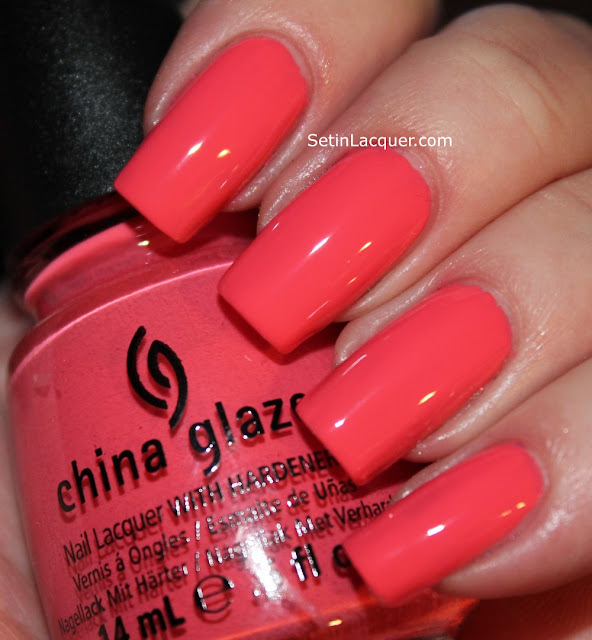 It has a slight shift to a pale pink in the right lighting. Scarab - This is a rich shimmery shade of a deep aqua blue. 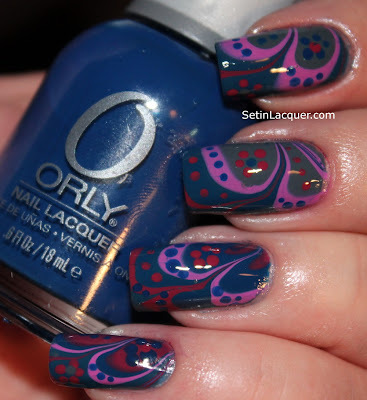 Its jewel tones of blue and greens work well together. 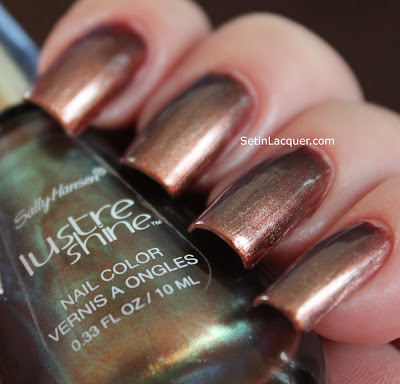 Sally Hansen Lustre Shine polishes are $7.99 and can be purchased at most drugstores or anywhere Sally Hansen polishes are sold. 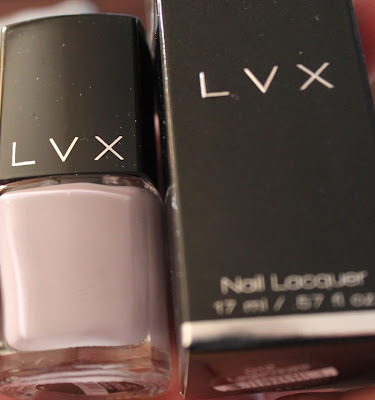 The polishes in this post were sent to me for review. All opinions are my own. Maya Cosmetics - Holos and glitters... Oh my! Maya Cosmetics is an indie polish that was introduced to me recently. And the new collections are amazing! 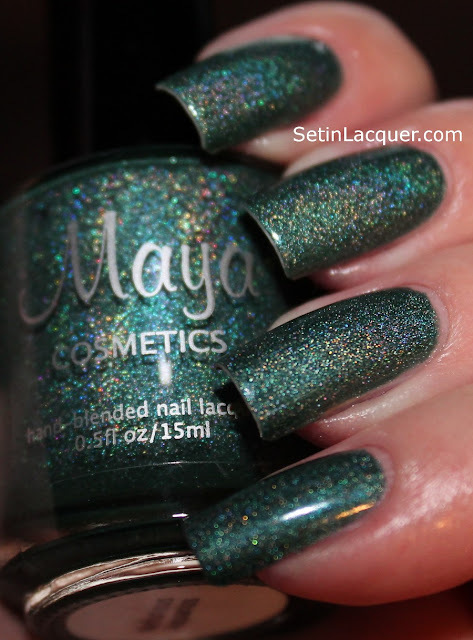 The holographic polish will have a permanent home in the Maya Cosmetics line up. 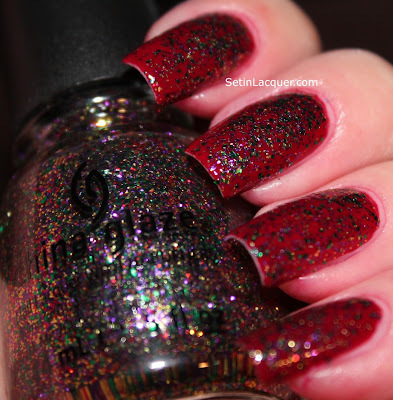 The two glitters are from a collection that won't officially launch until January, but you will be able to preorder them from 15 through 25 November. They will ship by December 5, 2012. 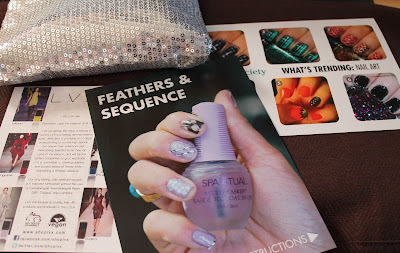 Let's look at these unique and wonderful polishes. 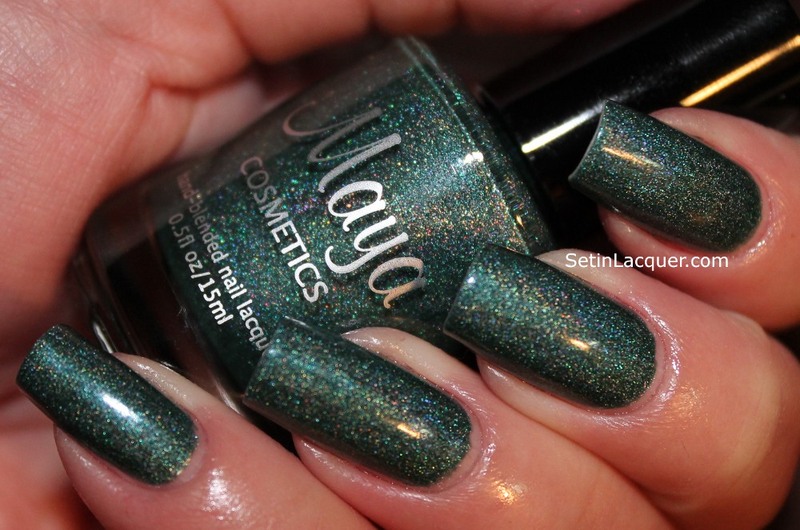 Nefarious Aquarius - is a blue-green holo that has a touch of duochrome pigment in it. 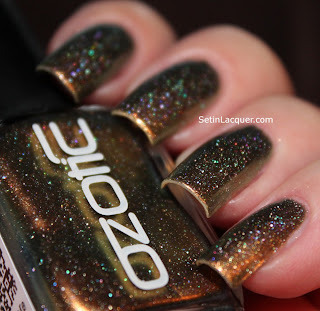 It's a subtle duochrome... an underlying glow. 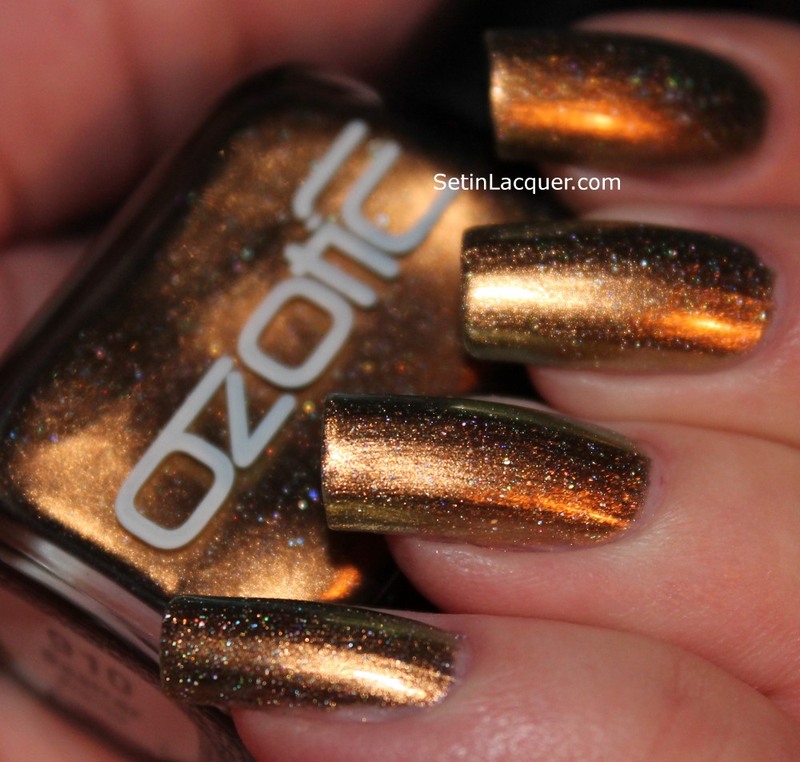 Topcoat will dull the holo somewhat. This one is available for $9. This is two coats. It applied amazingly smooth. 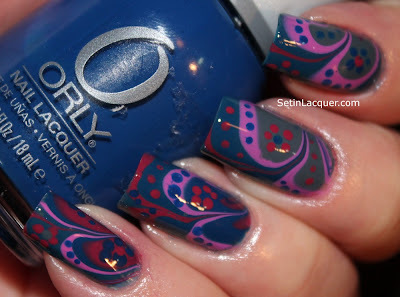 I love the formula on this! Next up are two polishes from the Crescent City Collection. All the polishes are New Orleans themed. 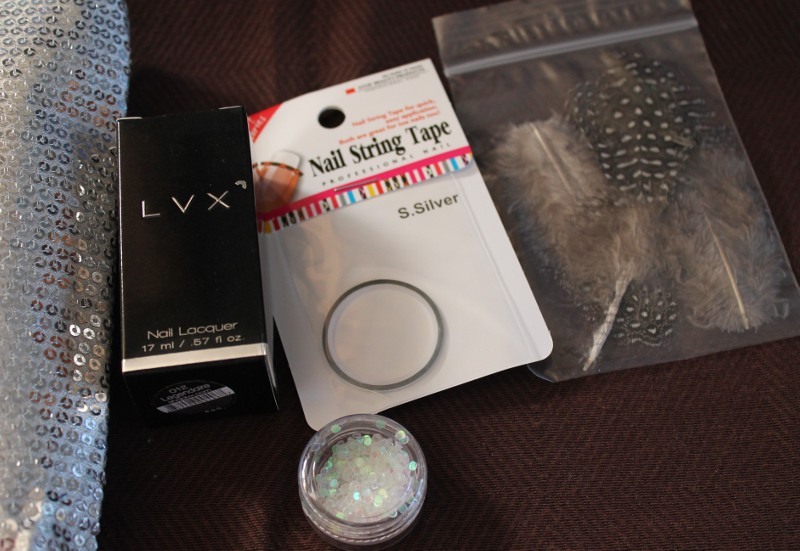 These polishes will be available for pre-order for $8. Treme - is a neighborhood in New Orleans that is known for its brass bands and mixed culture. 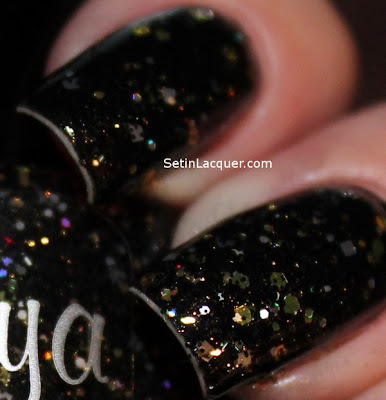 This gorgeous gold glitter polish certainly fits in with the theme. 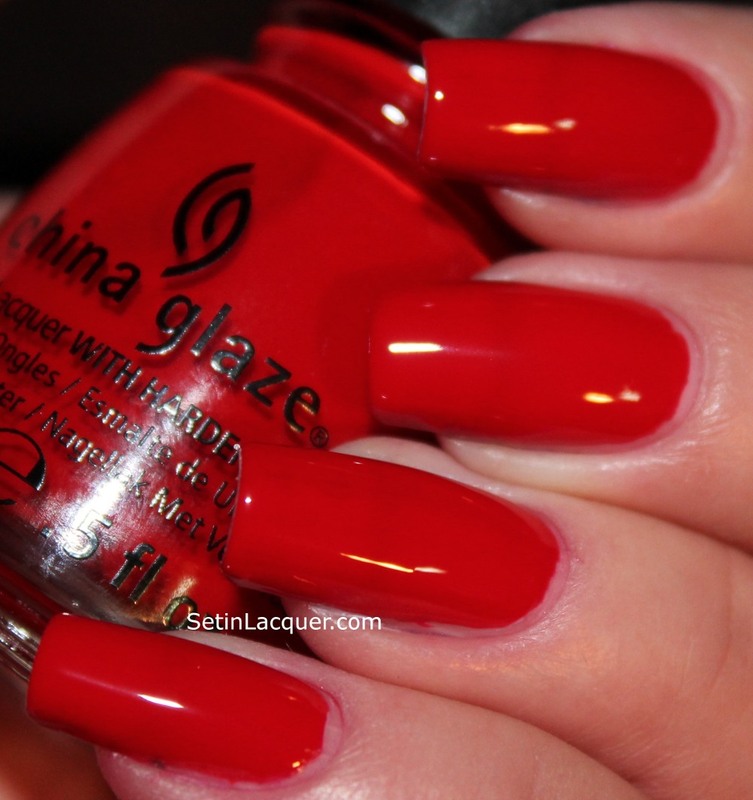 The pointer and middle finger are with two coats and no base color. 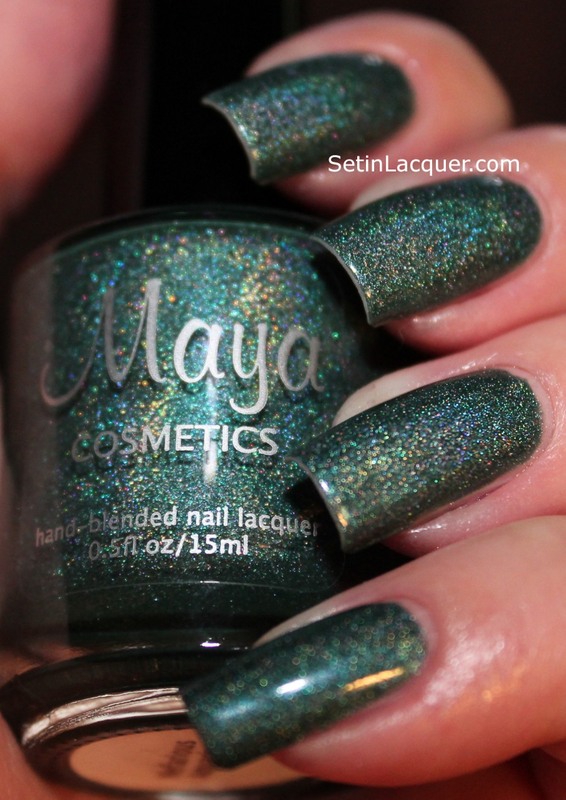 The ring finger and pinkie are with one coat of Treme over Maya Enigma. This glitter is full-bodied and has amazing coverage. 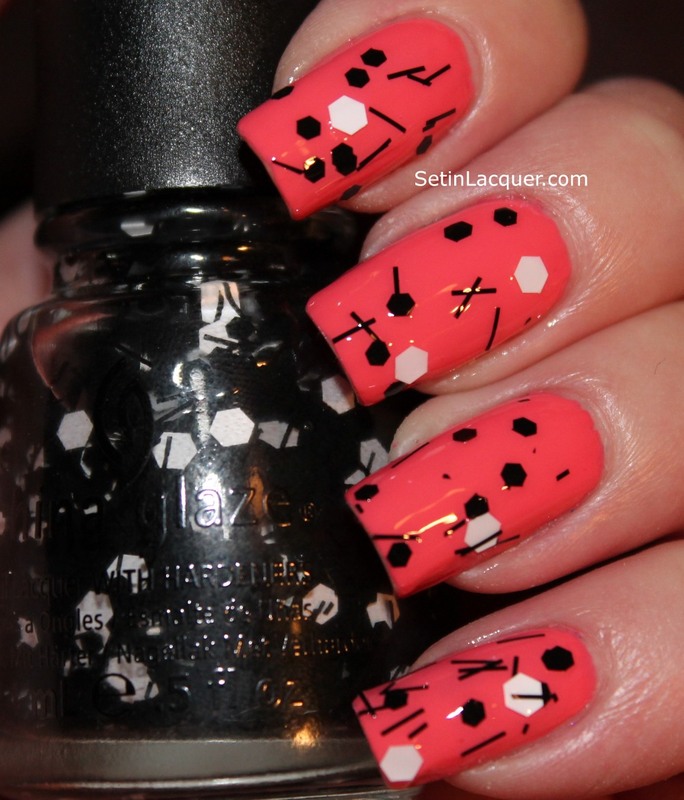 I did use a top coat for this swatch. Redemption - is for the New Orleans Saints fans. It really looks great over a black base color. It is a top coat glitter. 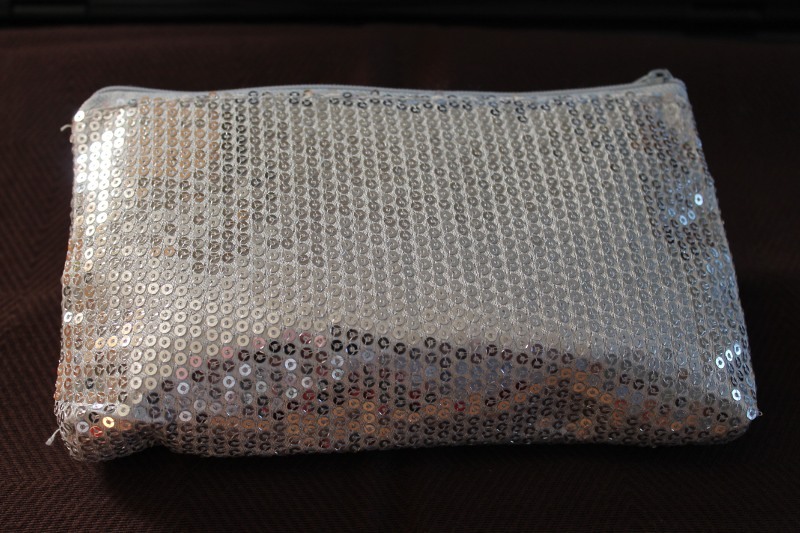 Lots of sparkle and shine. 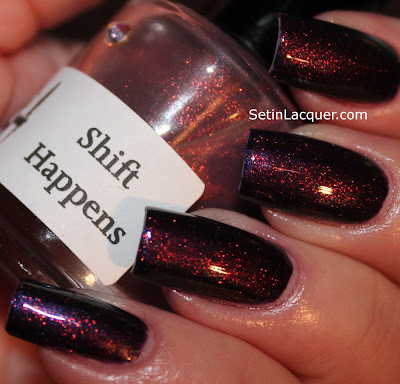 Here I have one coat of Redemption over Zoya Raven. 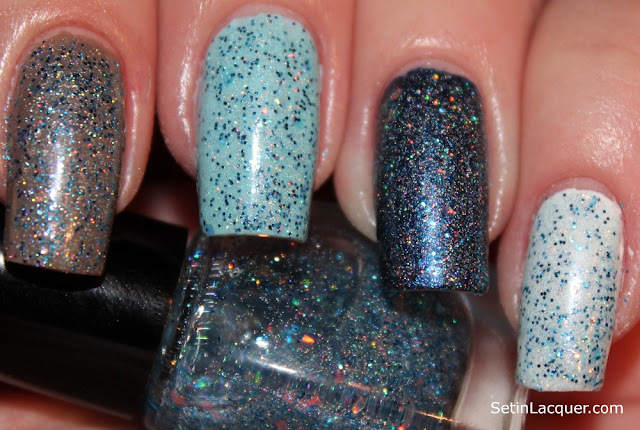 These glitter polishes don't make you fish for glitter. It has an easy application. 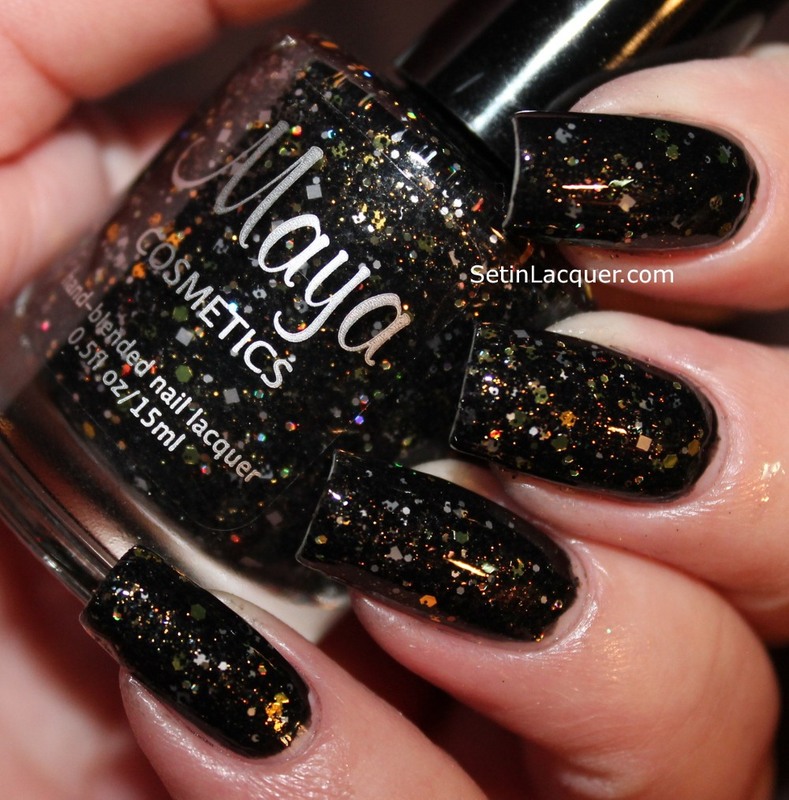 Make sure to check out Maya Cosmetics on their Facebook page or the online store. 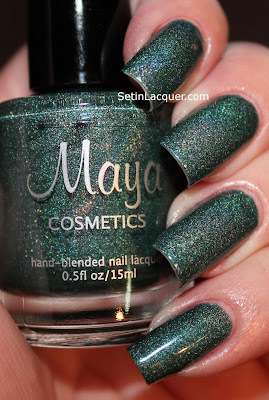 See my other swatches of Maya Cosmetic polishes here. China Glaze has released its Holiday Collection for 2012 - Holiday Joy. 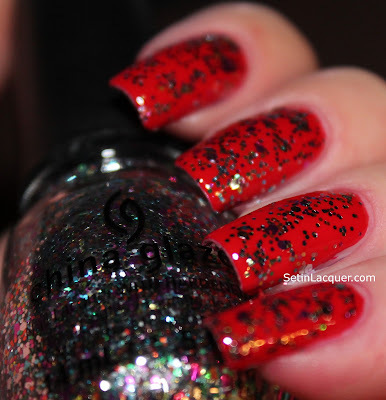 This collection is full of glitter and festive colors. These polishes have a wonderful formula and they dry to a wonderful shine quickly. There are 12 phenomenal polishes in the collection. 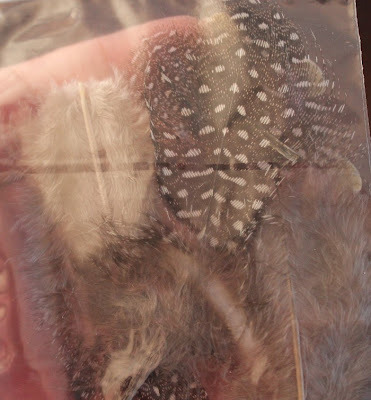 I have highlighted six of them in another post that you can find here. 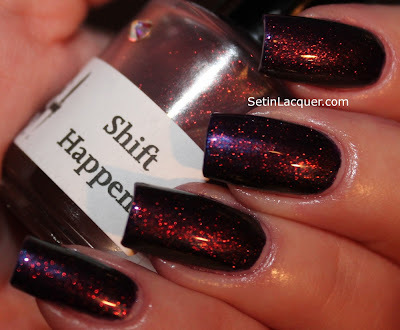 Let's move on to the swatches. These swatches do not have a top coat applied. Winter Holly - is a wonderful fir green glitter. It brings to mind Christmas trees, holiday wreaths and all that is pine. This is three coats. 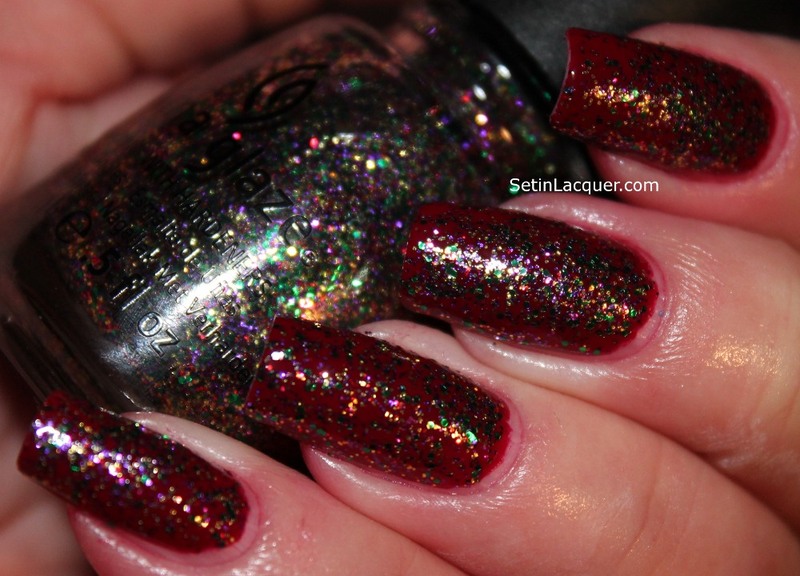 Glitter All the Way - (over Merry Berry) A wonderful glitter top coat that has fine gold, purple and green glitters. The glitter applies evenly. 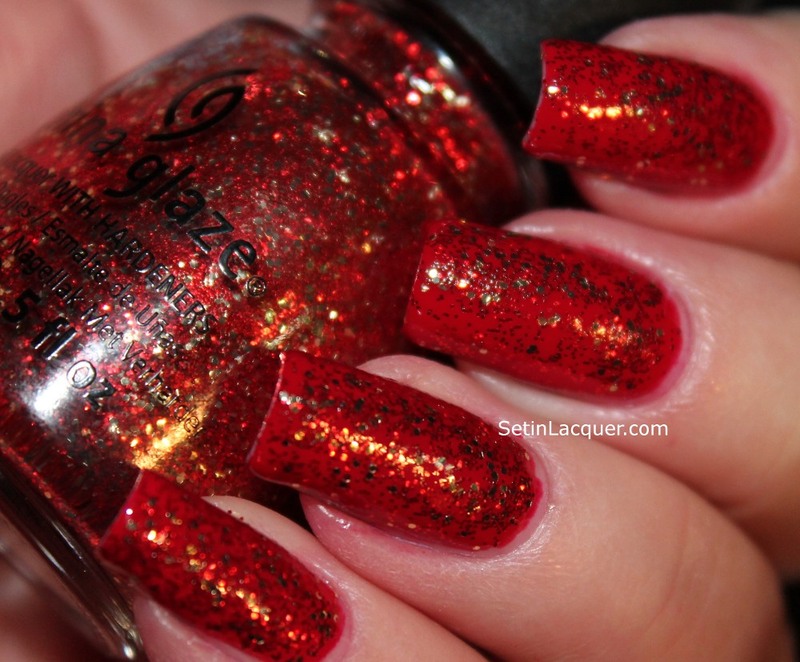 Pizzazz - (over With Love) - is a wonderful glitter top coat that has silver, fuchsia, green and red glitters and has an even application. 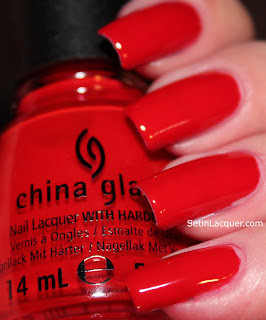 With Love - A wonderful holiday red shade that is a classic. This is two coats. Pure Joy - (over Red Satin) is a phenomenal gold and red glitter. 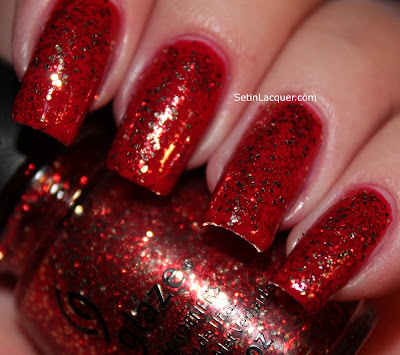 This has an even application and will be perfect for those festive holiday parties. Red Satin - Another super holiday red but it's a little darker than With Love. This is two coats. 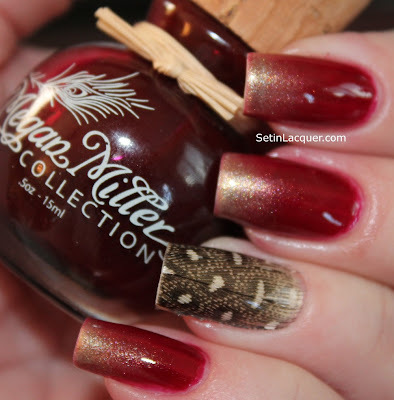 The Holiday Joy collection is a wonderful mix of festive colors. 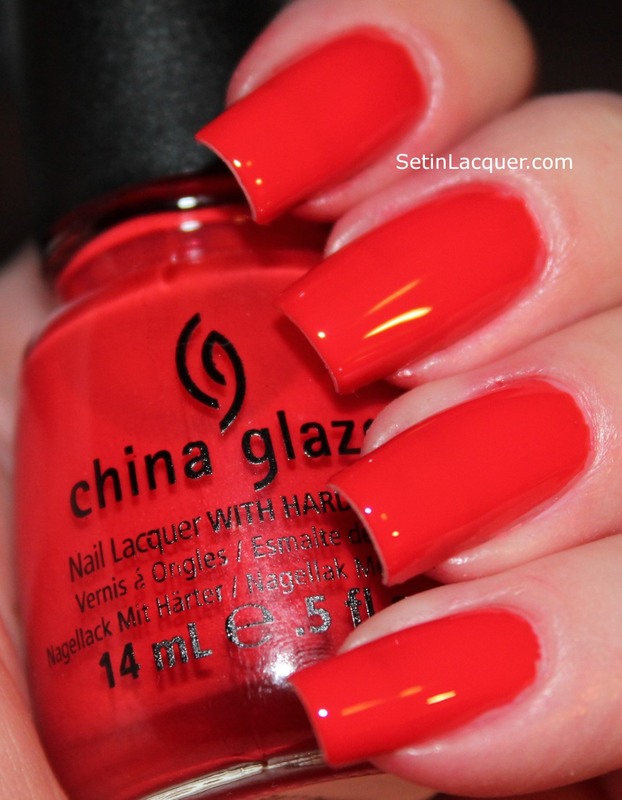 All China Glaze colors are free of DBP, Toluene and added Formaldehyde. Weekly giveaway - Ayla Beauty!